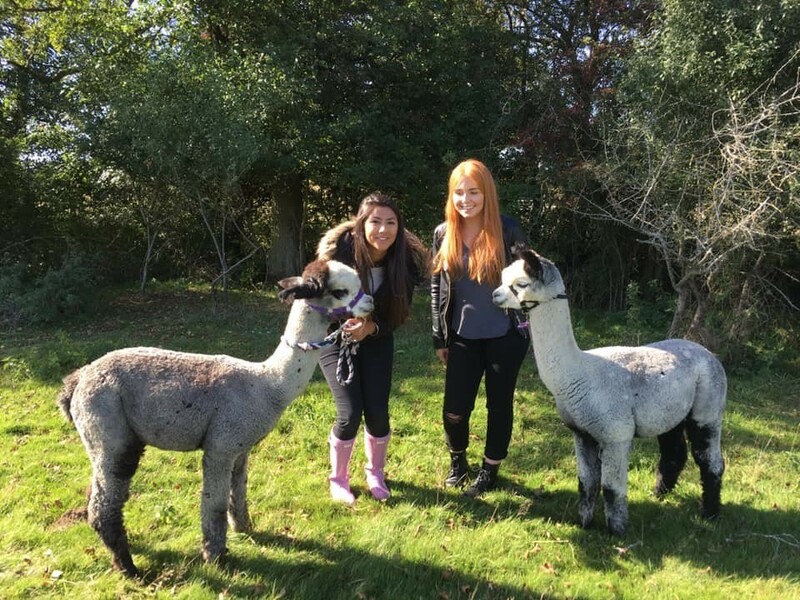 If you are looking for something completely out of the ordinary to why not come and visit our alpaca farm for a couple of hours and make some brilliant memories with our adorable and friendly alpacas! 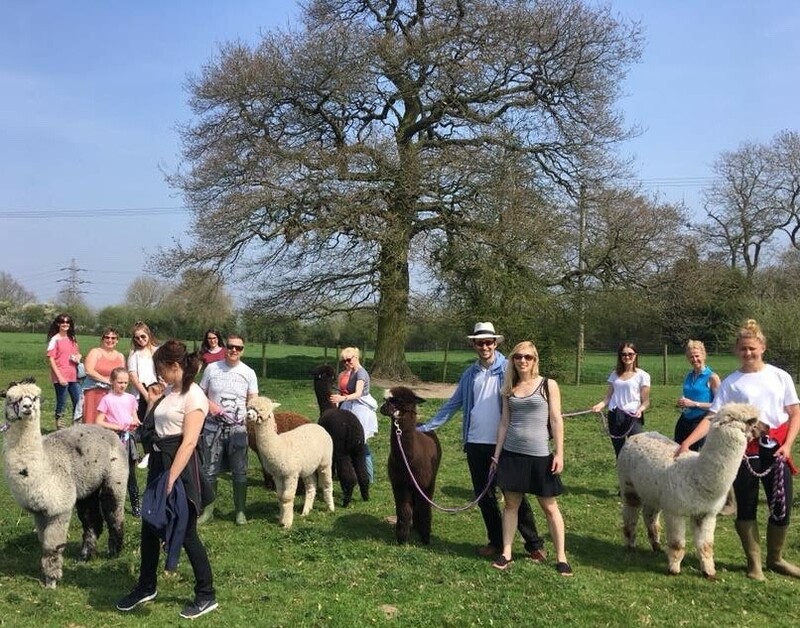 Surprise the Bride or Groom to be with an activity that both hens and stags will enjoy, also fantastic for Birthdays, Christmas, Anniversaries or corporate team building! 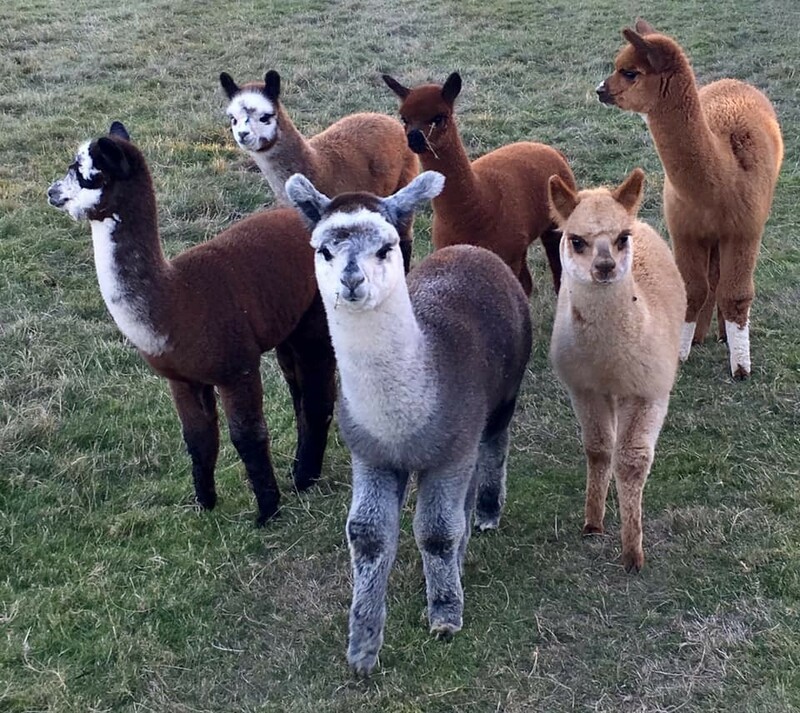 Meet the alpacas, cuddle some babies and take photos followed by a tour of the farm to feed the herd and then take the alpacas for a chilled out walk around the farm. Then we finish with tea, coffee, sandwiches and cake in the alpaca field or barn afterwards depending on the weather! We can cater for groups of up to 20 people. Minimum 8 people. Suitable for adults and children over 14. All children must be accompanied by a paying adult. Please wear farm appropriate clothing and wellies or waterproof boots as the farm tour crosses a stream. Cost – £25 per person or £35 per person for fizz/wine (half bottle per person) or beer.